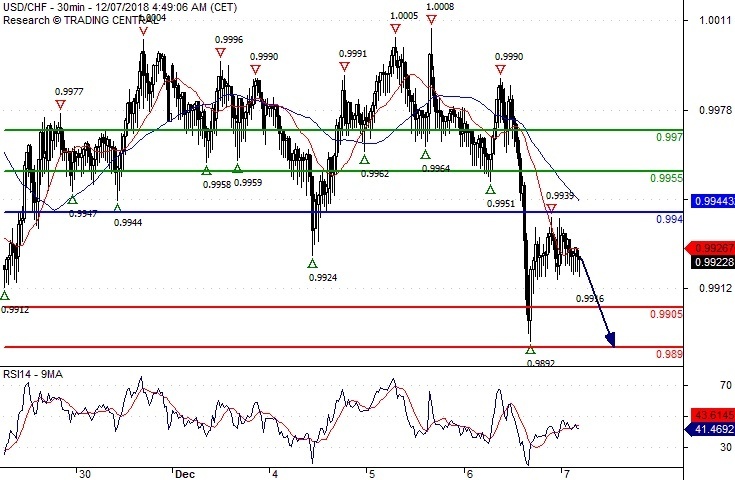 Short positions below 0.9940 with targets at 0.9905 & 0.9890 in extension. Above 0.9940 look for further upside with 0.9955 & 0.9970 as targets. A break below 0.9905 would trigger a drop towards 0.9890. Short positions below 1.3400 with targets at 1.3365 & 1.3350 in extension. 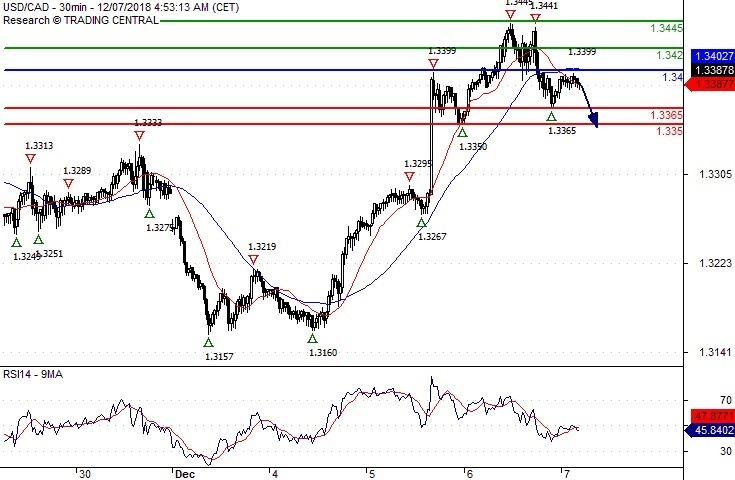 Above 1.3400 look for further upside with 1.3420 & 1.3445 as targets. 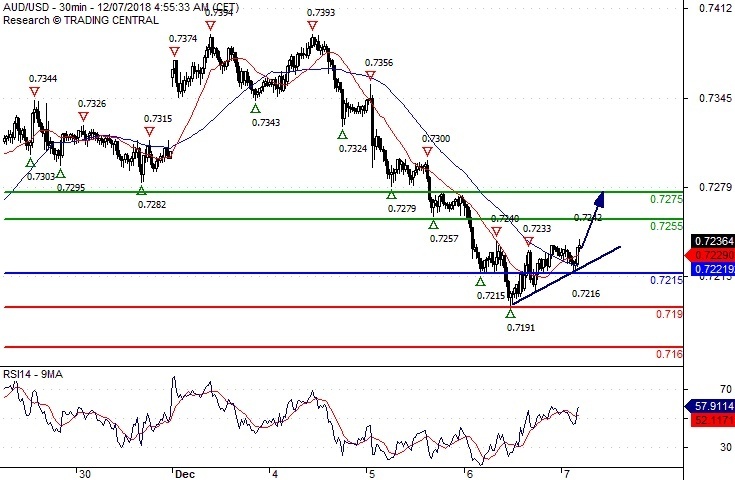 Long positions above 0.7215 with targets at 0.7255 & 0.7275 in extension. Below 0.7215 look for further downside with 0.7190 & 0.7160 as targets. Short positions below 5.3660 with targets at 5.3050 & 5.2700 in extension. Above 5.3660 look for further upside with 5.4000 & 5.4570 as targets. 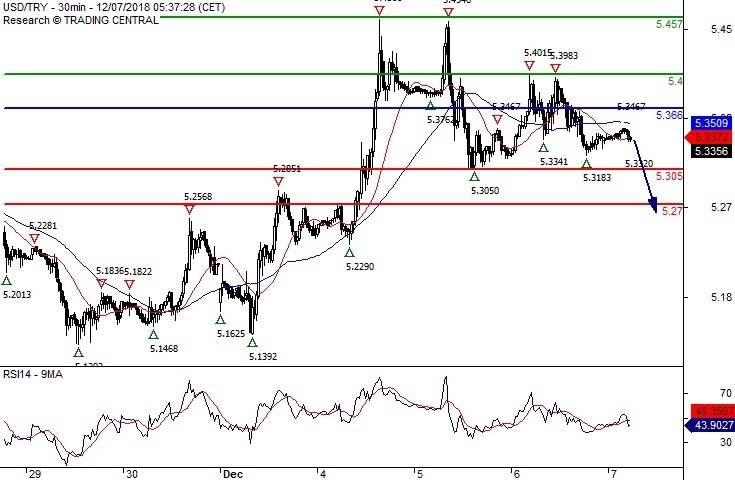 As Long as the resistance at 5.3660 is not surpassed, the risk of the break below 5.3050 remains high.